Nikii is absolutely the best! She stays with you through thick and thin and helps you through any problems that come up with your seller or your buyer. She has assisted myself and my extended family in buying and selling a total of five homes so far. We wouldn't even think of using anyone but Nikki! Nikii is amazing!!! She is friendly, personable, and always willing to go the extra mile for her clients! We have used her to buy and sell a house and she has been flawless through both processes! I recommend her to all my friends and we appreciate her so much. Nikii is amazing! She was a go getter from Day one on our goal to buy and sell our home! She was always available by text, email or phone even while on vacation! She offered great advice. She found us the perfect home to buy and within one week of putting our home on the market it was under contract! Highly recommended! I've used Nikii for multiple real estate transactions and each one has been professional. She is very knowledgeable and puts her customers needs/desires first, while keeping expectations and outcomes realistic for them. I have referred Nikii to several friends and each time has been a positive experience. Highly recommend! Nikii did a wonderful job with the sale of our home and was there every step of the way. From the pre-listing walk through, to the final day of the sale, she went above and beyond to help us get the deal completed. She did a great job helping us through all the ups and downs of selling a house and she was readily available to answer any and all questions. I would recommend her to anyone! Nikii helped us find our first home and I don't think the experience could have went any better! She answered all my ridiculous questions and was quick to respond! Would def recommend her to anyone looking for real estate services!! Nikii is the best! She found exactly what we needed in no time at all while selling our other property! She helped us every step of the way. Thanks Nikii! Even though Nikii is our daughter-in-law, when we sold our home in Enid, and bought our new home in MWC, she did everything for us. It was a much more pleasing event than I had imaged it would be. Thank you Nikii!!! Nikii is the best she sold our house in 2 Days plus got us more than what we had expected. She is awesome. She is one of the most professional Realtors I know and very educated in the real estate industry. Nikii was amazing! She was there for me through every step of the process. Nikii was able to meet all my crazy time demands (I work nights), and I feel like she worked hard for my interests in the bargaining process. I was warned from others that the whole home buying process could be incredibly stressful and hard, but with Nikii, I had no stress! If I could give her more than 5 stars, I would. Absolutely, hands down the best. They is no better Real estate person out there that is as good as Nikii Hubbs. I have really put her to the test. Nikii is truly one of kind realtor. When looking for our last home, she didn't push us into making a quick decision, and was always making sure we could see it as a home, not just a house. If we asked her opinion she spoke honestly about if see saw something wrong or not. She also does every in her might wheel house to sell your home as quickly as she can. We loved Nikii so much, we are using her again to look for our new home (we out grew our current home), and again she is allowing us to take our time, and making sure we have everything in order to find the perfect place again. Nikii Hubbs is classy, professional and efficient. Her knowledge of the business and work ethic are unmatched. Nikii takes great pride in her work and it shows each time she interacts with her clients, other realtors, lenders and contractors, etc. She treated us with the utmost respect and made us feel as if we were family. She works hard for her clients and does so with a beautiful smile on her face. If you ever need a realtor (whether buying or selling) we highly recommend Nikii! No matter what crazy situation we encountered, Nikii was able to do magic and it resulted in the perfect house for our family! We'll recommend her always! Thanks, Nikii!!!! Although Nikii wasn't completely involved in the purchase of my home (because I bought it from my mom), she was there every step of the way for my questions & concerns! I will be using Nikii for any future Realestate needs & I refer anyone looking to buy or sell a home to her. Nikii went above and beyond. She walked us through every step and was available whenever we need her. I recommend her for sure. Nikki was great in helping us sell our home in Choctaw. She helped us find & buy our current home, then sold our Choctaw home. We would use Nikii again! She was there every step of the way helping us! Thank you Nikii! Always goes above and beyond! We recommend Nikii Hubbs to everyone we know! 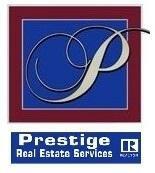 Professional - courteous - makes houses sell and buyers happy! Bought a Single Family home in 2017 in Oklahoma City, OK. When I first contacted Nikii, I wasn't even sure if I could qualify for a (VA) home loan. Not only did she put me in touch with people who had the answers to my questions, she found a property that had everything on my list. Getting to work with her through this experience was truly a delight, especially since it can rapidly become stressful. I don't know why you're still reading this. Nikii is the best! Contact her today! Bought a home in 2017 in Norman, OK.
Nikii was referred to us from our mortgage lender and she quickly called and we started looking at houses the next day. We found our home pretty quickly and she got all inspections and paperwork on the house for us fast! It was our first homebuying experience, I don't think it could have gone any smoother! Would recommend her to anyone looking to buy/sell! Sold a Single Family home in 2017 in Ranchets, Midwest City, OK.
Bought and sold a Single Family home in 2017 in Quail Ridge, Midwest City, OK.
Nikii helped me during a stressful time with work deadlines and buying my first house. She managed to work around my schedule and give me step by step guidance on everything that needed to be handled on my side and everything else she handled on my behalf. Always polite and kind, she shows me numerous homes and answered all my questions. Anytime I text her with questions, she always responded quickly. Even after closing on my house she answered my questions. She certainly goes above and beyond. Bought a Single Family home in 2017 in Norman, OK. I was buying my first home and Nikii made the entire process as absolutely painless as possible! She was there every single step of the way making sure that things happened when they were supposed to and that I understood what was going on and why. She helped connect us with everyone and everything we needed! I can't possibly thank her enough for helping my wife and I find our dream home. We are extremely happy and satisfied and we could not have possibly done it without her! Sold a Single Family home in 2017 in Choctaw, OK.
Nikki did a fantastic job with the sale of our home. Prior to even listing she did a very thorough walk through with us and pointed out ways we could make our house stand out more and appeal to buyers. We took notes and took all of her advice, which I believe helped us get multiple showings a day and more than one offer in the first week! Once we had accepted an offer she helped us with every step of the selling process to ensure that we had all of our questions answered and that we knew what to expect. Even when there were bumps in the road she went above and beyond to help us get the deal done. She was especially mindful of our timeline as well since my husband is in the military and we were having to relocate. I would recommend her to anyone! Bought a Single Family home in 2017 in Moore, OK.
We are first time home buyers and had lot of questions. Nikii had answers for all of our concerns and assured us everything would be okay which was very important to us during this stressful time. She was very willing to show us as many houses and patient with us when we couldn't find the right house. Working with Nikii was great and I would recommend her to anyone. Couldn't have done it without her support and guidance. Sold a Single Family home in 2017 in Oklahoma City, OK.
We contacted Nikii to sell our fathers home who recently passed away. Nikii kept us informed through every step of the process. She was very quick to respond to any emails with any questions we had. We sold our fathers home in less than three weeks. If you are looking for a great realtor Nikii should be your choice. Sold a home in 2017 in Oklahoma City, OK 73008. Nikii, listed and sold our home. We were kept informed in all the steps. Nikki was great to work with and would highly recommend her if you are buying or selling any property. Nikki made the transaction very smooth and effortless for us. Sold a Single Family home in 2016 in Midwest City, OK.
Bought and sold a home in 2016 in Witcher, Oklahoma City, OK 73013. I found Nikii to very energetic, knowledgeable and passionate about her profession. One outstanding trait I discovered about her as a realtor is that Nikii always has a viable plan for selling your house and creates logical strategies to execute the plan based on market conditions in your area. In other words, Nikii has a plan A, Plan B, and Plan C regarding selling your house. If the market demands it, she is very adaptable and will adjust the plan in place on the fly if that is what it takes to get the job done! I will use Nikii when I sell and buy my next house and I have already recommended her to friends and family. Sold a Single Family home in 2016 in Oklahoma City, OK.
Nikii is the best. Not only is she extremely knowledgeable, but makes the whole process easy. Nikii helped with every step of the way, and kept me informed so I knew exactly what to expect. I would not use any other realtor ever!!! Sold a Single Family home in 2016 in Newalla, OK.
Nikii was very helpful and provided us with a lot of options to look at based on our needs. She has an extensive knowledge about housing as well as contacts for contractors like roofers, septic systems, etc. she was always friendly and replied to all our questions in a timely manner. I would highly recommend her! Working with Nikii Hubbs was the best experience. She very knowledgeable and quick to get things done. Was able to answer all our questions and took all our calls along with quick text replys. I definitely recommend Nikii Hubbs and look forward to working with her again. Bought a Single Family home in 2016 in Midwest City, OK.
Nikii is seriously the best realtor in Oklahoma! I've known her for years and known she was good (my parents always use her), but I didn't know how awesome she is at her job until she helped me find my first house! I'm not one to talk on the phone, but she responded to every email and text very quickly. If I had a question she would respond fast or ask someone who knew right then and get back to me within 10 minutes. Sold a home in 2016 in Lincoln Terrace, Oklahoma City, OK 73105. Very professional, courteous and knowledgeable. We would definitely use her for any future real estate transactions for the Oklahoma City area or eastern Oklahoma county. Thank you Nikki, we were very pleased with your service. Sold a Single Family home in 2016 in Choctaw, OK.
Nikki went above and beyond the call of duty to expedite the sale of our home. She was accessible to us at all times when we had questions or concerns. She did a wonderful job of keeping us informed of the entire process. We would gladly recommend her to others selling a home or looking to buy a new home. Sold a Single Family home in 2016 in Ridgecrest, Midwest City, OK.
Nikki was very helpful through the whole selling process. We would highly recommend her as an agent for either selling or buying. She responded to issues in a timely way. Nikki was always available and responded quickly to any of our questions. I really liked the communication by text as it was easier to communicate. She would tell us step by step what would happen within the process. Bought a Single Family home in 2015 in Oklahoma City, OK.
A mazing realtor. She helped me get an amazing house for the price. She adapted to my personality which made me feel comfortable. Would recommend her and would do business with her again. We were 2 newbies looking for a realtor to help us and and buy rental property. Nikki immediately responded to all of our texts, emails, and phone calls. She patiently educated us and led us through the entire process. She has helped us buy 2 properties so far and is on speed dial for the next purchase. We were 2 newbies looking for a realtor to help us and buy rental property. Nikki immediately responded to all of our texts, emails, and phone calls. She patiently educated us and led us through the entire process. She has helped us buy 2 properties so far and is on speed dial for the next purchase. Bought a Single Family home in 2015 in Mustang, OK.
Nikii did an "AMAZING" job! She worked on our behalf and caught every trick, the opposing Realtor,(Cheri) was trying to sneak by us. She is the only realtor, that we will ever use! Thanks again Nikii! GREAT JOB!!!!!!!!!!!! Sold a Single Family home in 2015 in Eastwood, Midwest City, OK.
Nikii was always available whenever I needed her. Before closing, our dishwasher decided to go on the blink. Nikii not only helped with discussing the issue with the warranty company, but made herself available when I could not be there for the new one to be replaced. I would definitely use Nikii again when selling a house. Sold a Single Family home in 2015 in Moore, OK. I live out of the state and Nikii went above and beyond in assisting me in preparing the house for sale. When it came time to sale, she negotiated a fair offer within days of listing. All of this was completed without me having to travel to Oklahama. She definitely earned her commission and I would recommend her to anyone. Bought and sold a Single Family home in 2015 in Oakwood East, Midwest City, OK. Incredible real estate agent, very knowledgeable and a great personality! We bought our first and second house through her and she also sold our first house in less than two weeks of listing it! Definitely recommend her for all your real estate needs! Nikii was extremely professional. She worked to find everything we were looking for in a new home and did a fantastic job. Any questions that I had, she answered very quickly. She helped guide me through the entire process and even anticipated questions I would have about the buying process. Nikii is very knowledgeable and experienced. Nikii made you seem like you were her only client. I was purchasing my OKC house while living in New York, Nikii handled every aspect of my home purchase, which was complicated, in such a thorough and professional manner I was truly impressed. I could not have made this move without her , she is the epitome of honesty, helpfulness and dedication. I would recommend her in a heartbeat! Bought a home in 2015 in Arts District, Oklahoma City, OK 73102. Nikii has helped helped me, my son and daughter buy homes in the last couple of years. She is a professional and stays on top of every detail. If you are buying or selling a home, you should call Nikii. Bought a Single Family home in 2015 in Choctaw, OK.
My husband and I loved working with Nikii. She was incredibly patient and helpful during the house buying process. Our house hunt started before we moved to Oklahoma and she helped get our search kicked off long distance. She was accommodating and very responsive. She was able to answer all of our (endless) questions as first-time buyers, and seemed really invested in making sure we found the right place. We made her show us a LOT of places and she never rushed us through the process. She followed up several times after closing to see how everything was going and continued to offer her help. I would recommend her to anyone, as we had such a great experience working with her! Nikii is truely AMAZING!!! She will bend over backwards to do whatever is needed to help you out in buying a home. She has helped my parents get their home and now mine. I reccommend her to anyone needing a realtor. She is an expert at what she does. Everyone she works with from the inspector to the title company are all great people. This couldnt have gone any better. Nikii really knows her stuff. Sold a Single Family home in 2015 in Oklahoma City, OK.
Nikii was very helpful in letting us know what needed to be done to get the house on the market. She also does a lot of advertising on the home you sell. I would highly recommend her to help sell your home. Best realtor you will ever find! We toyed with the idea of selling our house for years and Nikii walked us down a path that we were finally able to do so! Once it was on the market, she sold it in 3 weeks!! Nikii has also helped tremendously with the building of our new home - adding specifics into our contract when we didn't think necessary. Her knowledge, work ethic and personality is definitely something you want on your side during this stressful process. Don't know what we would have done without her!! Bought a Single Family home in 2013 in Oklahoma City, OK.
We made an interstate relocation and Nikii helped us from the first house hunt until we finally closed. We could not have done it without her. Total professional. Highest recommendation. Bought a Single Family home in 2013 in Edmond, OK.
Nikii was the agent for the other clients looking at my house. She and I spoke, (there was a miscommunication with my realator on the showing) and I was instantly drawn to her by her knowledge and just by her friendliness and kindness. I asked if she would be interested in being my agent when my contract expired (soon to be) and she agreed. She then helped me purchase my new home. Nikii went above and beyond to find me the home that fit me. she sent me so much information on so many homes to look at on line, and would take me to see the ones I was interested in. We became good friends...Nikii is the sort of person you want in your life! She is definately a thumbs up, get up and go kind of girl! very detailed, knowledgeable, and will go that extra step for you. Nikii was referred to us from our mortgage lender and she quickly called and we started looking at houses the next day. We found our home pretty quickly and she got all inspections and paperwork on the house for us fast! It was our first homebuying experience, I don't think it could have gone any smoother! Would recommend her to anyone looking to buy/sell!! As a local real estate professional a commitment to client satisfaction is a top priority. Whether you are considering purchasing a home, or selling an existing property, an outstanding level of service is guaranteed with me representing you in your next real estate transaction. I provide real estate services in Midwest City, Choctaw, Moore, Oklahoma City, Yukon, Mustang, and in other local real estate markets.